Stibine is a chemical compound with the formula SbH3. A pnictogen hydride, this colourless gas is the principal covalent hydride of antimony and a heavy analogue of ammonia. 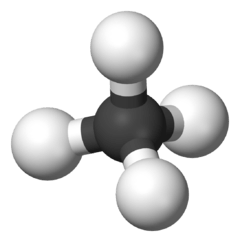 The molecule is pyramidal with H–Sb–H angles of 91.7° and Sb–H distances of 1.707 Å (170.7 pm). This gas has an offensive smell like hydrogen sulfide (rotten eggs). The decomposition is autocatalytic and can be explosive. Stibine is used in the semiconductor industry to dope silicon with small quantities of antimony via the process of chemical vapour deposition (CVD). It has also been used as a silicon dopant in epitaxial layers. Reports claim the use of SbH3 as a fumigant but its instability and awkward preparation contrast with the more conventional fumigant phosphine. As stibine (SbH3) is very similar to arsine (AsH3), it is also detected by the Marsh test. This sensitive test detects arsine generated in the presence of arsenic. This procedure, developed around 1836 by James Marsh, is based upon treating a sample with arsenic-free zinc and dilute sulfuric acid: if the sample contains arsenic, gaseous arsine will form. The gas is swept into a glass tube and decomposed by means of heating around 250 – 300 °C. The presence of arsenic is indicated by formation of a deposit in the heated part of the equipment. The formation of a black mirror deposit in the cool part of the equipment indicates the presence of antimony. In 1837 Lewis Thomson and Pfaff independently discovered stibine. It took some time before the properties of the toxic gas could be determined, partly because a suitable synthesis was not available. In 1876 Francis Jones tested several synthesis methods, but it was not before 1901 when Alfred Stock determined most of the properties of stibine. SbH3 is an unstable flammable gas. It is highly toxic, with an LC50 of 100 ppm in mice. 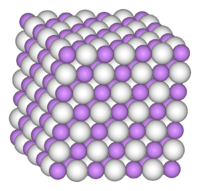 For the toxicology of other antimony compounds, see Antimony trioxide. The toxicity of stibine is distinct from that of other antimony compounds, but similar to that of arsine. Stibine binds to the haemoglobin of red blood cells, causing them to be destroyed by the body. Most cases of stibine poisoning have been accompanied by arsine poisoning, although animal studies indicate that their toxicities are equivalent. The first signs of exposure, which can take several hours to become apparent, are headaches, vertigo and nausea, followed by the symptoms of hemolytic anemia (high levels of unconjugated bilirubin), hemoglobinuria and nephropathy. 1 2 3 4 "NIOSH Pocket Guide to Chemical Hazards #0568". National Institute for Occupational Safety and Health (NIOSH). ↑ "Stibine". Immediately Dangerous to Life and Health. National Institute for Occupational Safety and Health (NIOSH). ↑ Bellama, J. M.; MacDiarmid, A. G. (1968). "Synthesis of the Hydrides of Germanium, Phosphorus, Arsenic, and Antimony by the Solid-Phase Reaction of the Corresponding Oxide with Lithium Aluminum Hydride". Inorganic Chemistry. 7 (10): 2070–2072. doi:10.1021/ic50068a024. 1 2 Holleman, A. F.; Wiberg, E. (2001). Inorganic Chemistry. San Diego: Academic Press. ↑ Francis Jones (1876). "On Stibine". Journal of the Chemical Society. 29 (2): 641–650. doi:10.1039/JS8762900641. ↑ Alfred Stock; Walther Doht (1901). "Die Reindarstellung des Antimonwasserstoffes". Berichte der Deutschen Chemischen Gesellschaft. 34 (2): 2339–2344. doi:10.1002/cber.190103402166. ↑ Alfred Stock; Oskar Guttmann (1904). "Ueber den Antimonwasserstoff und das gelbe Antimon". Berichte der Deutschen Chemischen Gesellschaft. 37 (1): 885–900. doi:10.1002/cber.190403701148. ↑ "Fiche toxicologique n° 202 : Trihydrure d'antimoine" (pdf). Institut national de recherche et de sécurité (INRS). 1992. "Fiche toxicologique n° 202 : Trihydrure d'antimoine" (pdf). Institut national de recherche et de sécurité (INRS). 1992.